Biopta Ltd, the human tissue-based contract research organization, has announced the launch of the first catalogue of assays based on human functional tissues. The catalogue, which includes industry’s widest range of human functional tissue assays, serves to provide the scientific community with ready access to assays that improve the prediction of safety, absorption and efficacy of drug candidates in humans. According to Biopta, ex vivo human tissue studies play a key part in drug development, providing pharmaceutical and biotechnology companies with a more predictive human model earlier in the development process. Until now, many pharmaceutical and biotechnology companies have depended solely on animal models; however, Biopta’s access to fresh functional human biomaterials means that early human tissue testing is increasingly becoming a routine part of preclinical drug discovery. 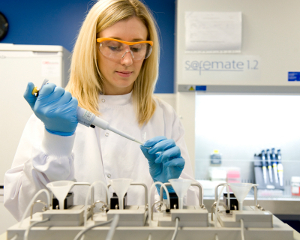 Biopta’s research has generated a database of over 60 assays in a range of human fresh tissues. The company claims that its database is the first to build an in vitro library of human functional pharmacology using intact tissues. By providing phenotypically-accurate assays that measure drug responses from healthy and diseased human tissue, the company aims to fill the knowledge gap in preclinical testing. Biopta business development manager Dr Ruth McLaughlin noted the company’s catalogue aims to provide important human biology data during early stage drug discovery. "This library also serves as a valuable searchable resource for experimenters seeking human translational research. We will be continuing to add tissue types, functional biomarkers of drug response and different mechanisms of drug action over the coming months," McLaughlin added. Image: Biopta launches first catalogue of in vitro human tissue assays. Photo: Courtesy of B3Cnewswire/Biopta Ltd.